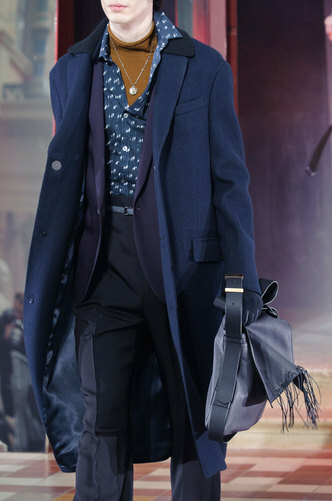 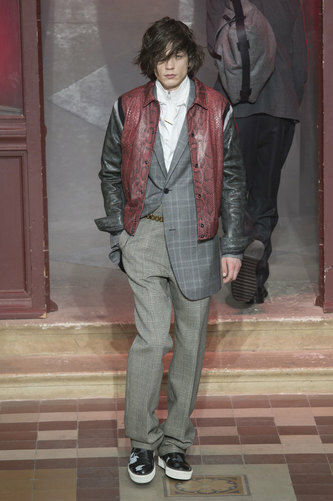 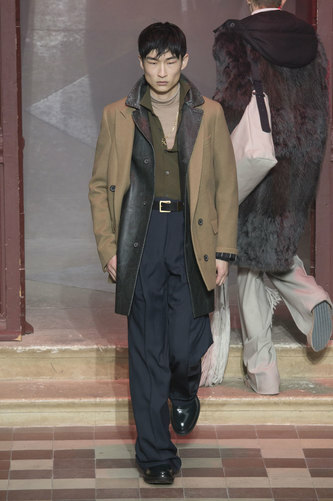 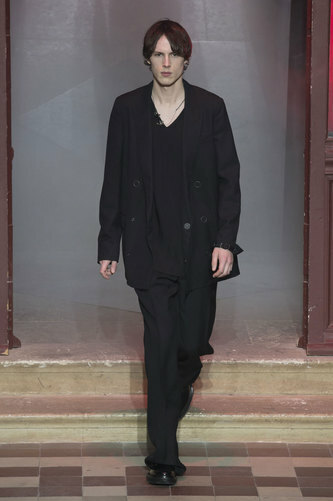 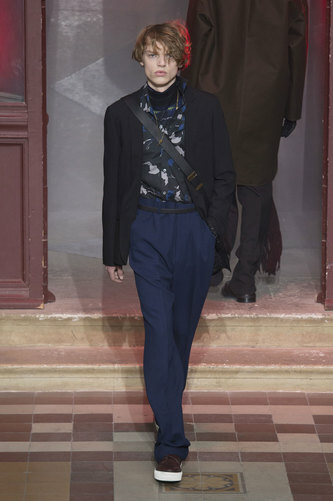 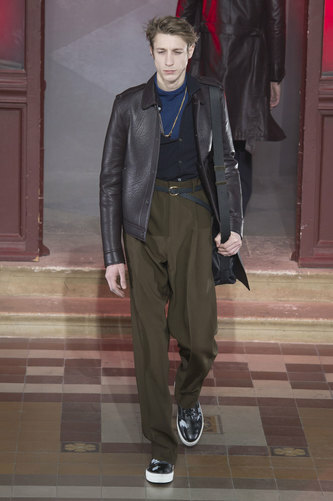 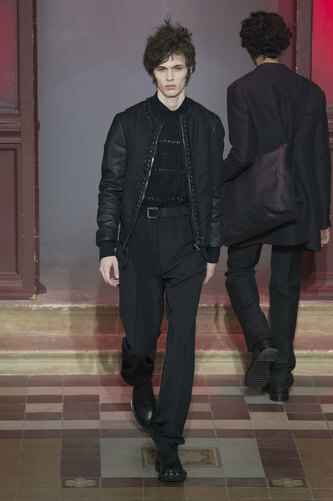 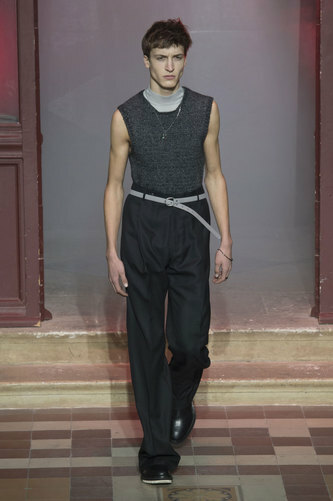 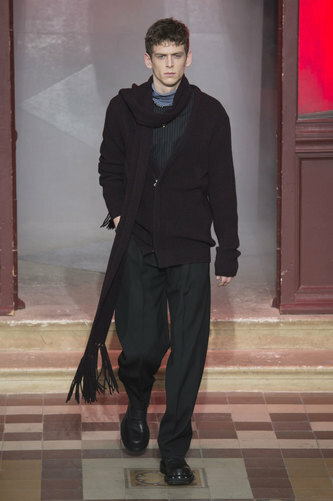 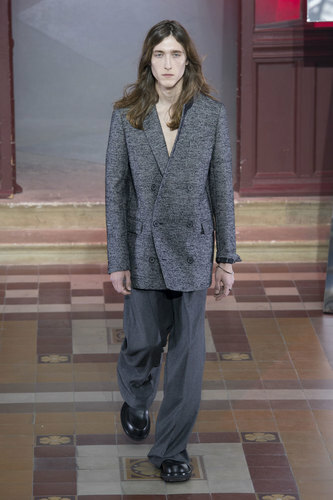 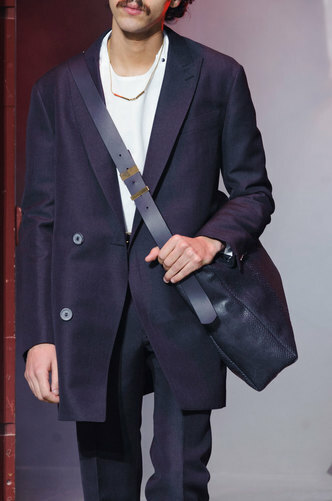 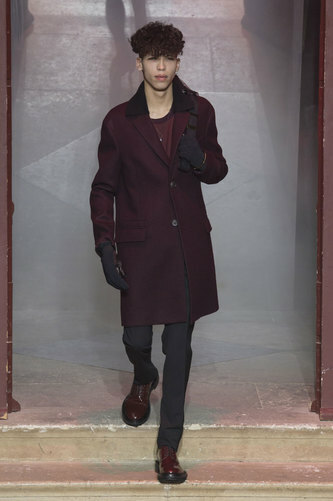 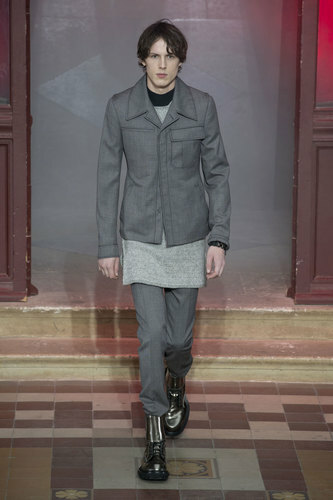 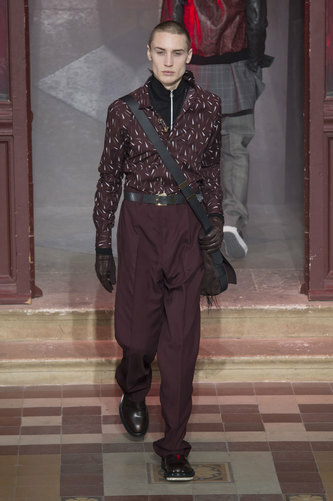 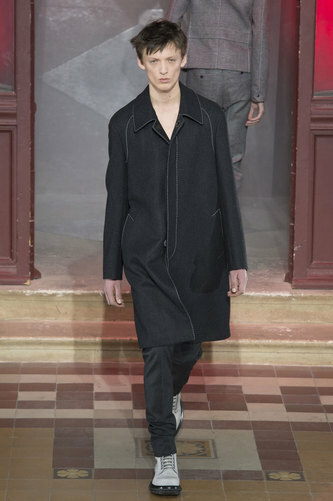 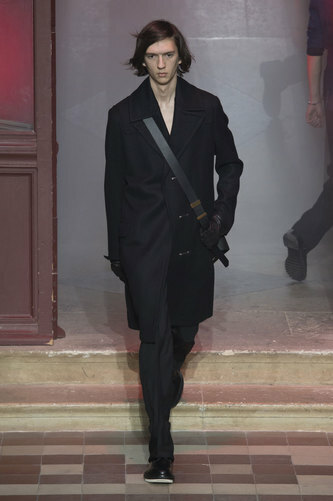 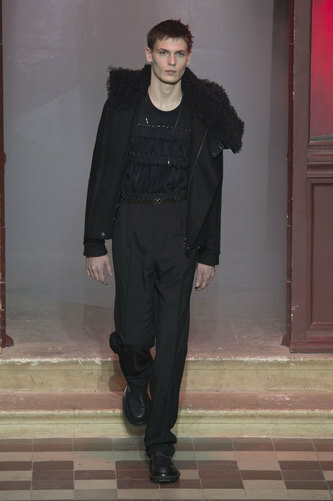 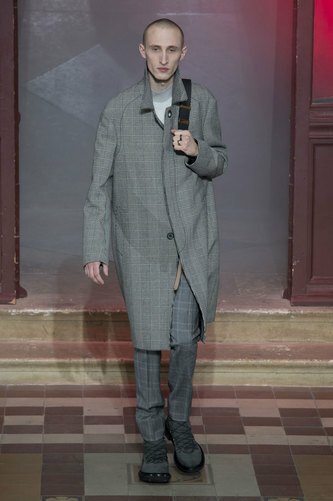 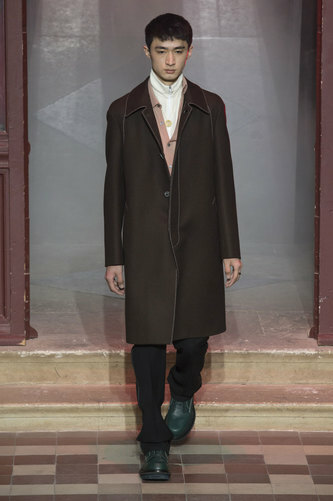 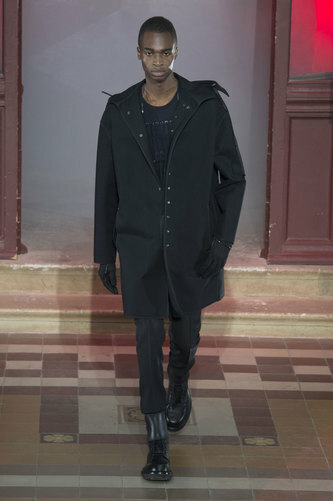 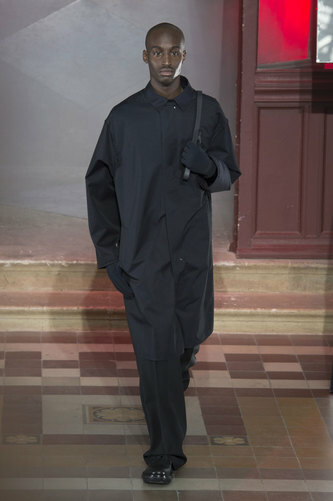 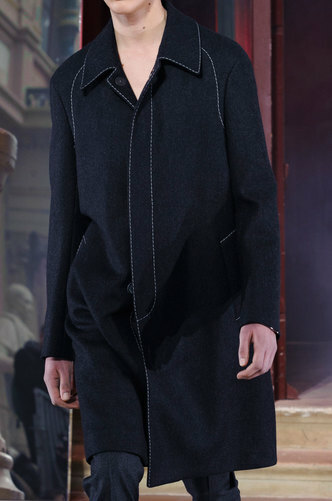 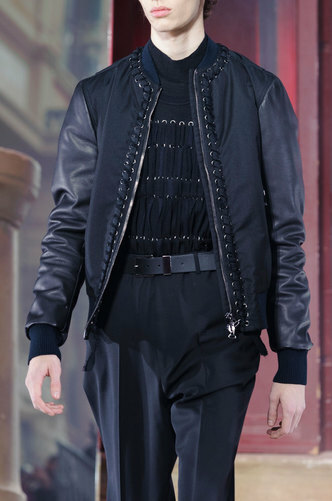 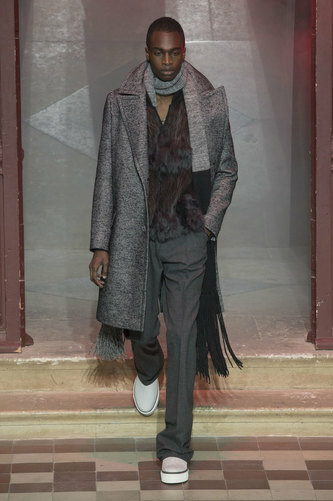 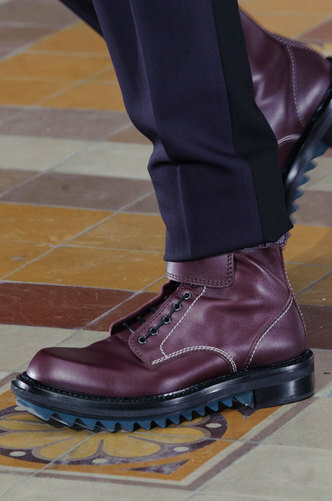 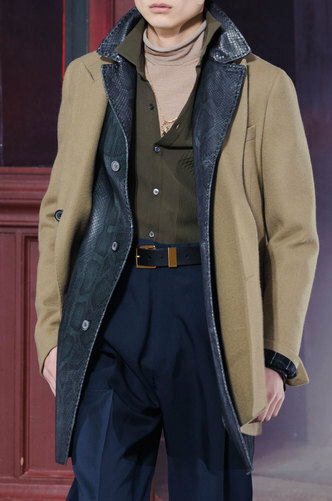 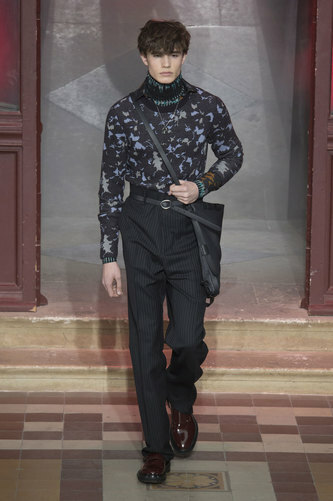 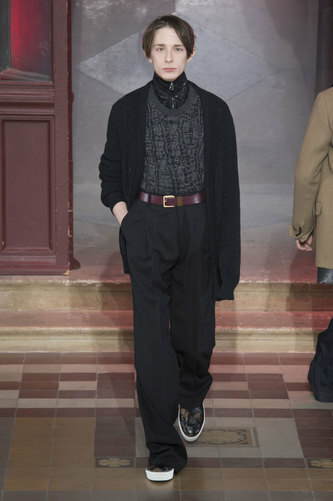 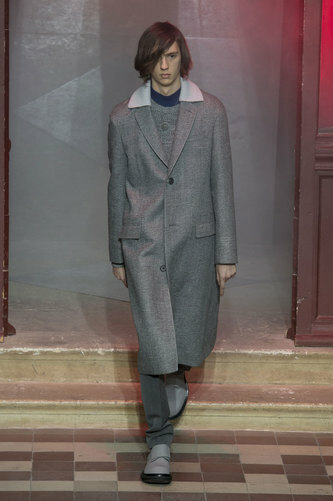 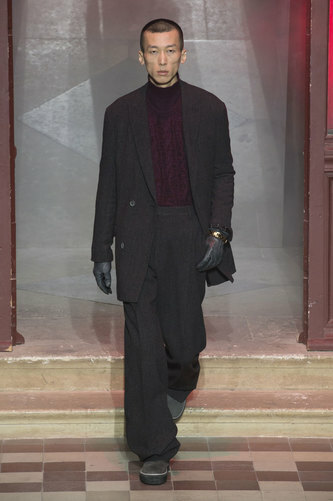 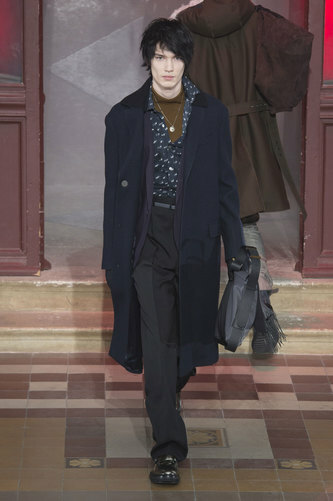 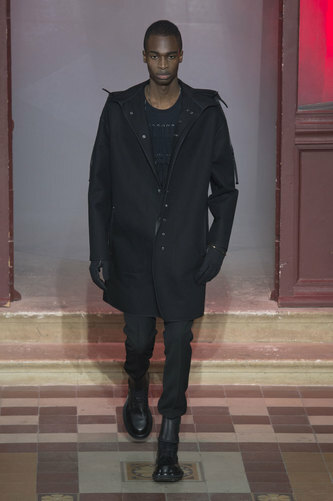 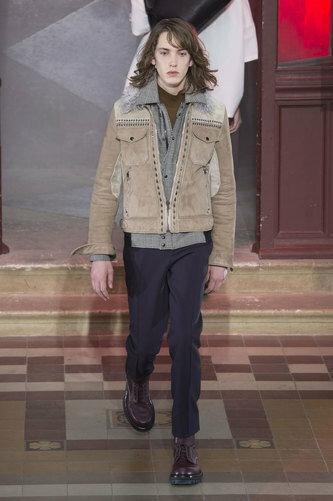 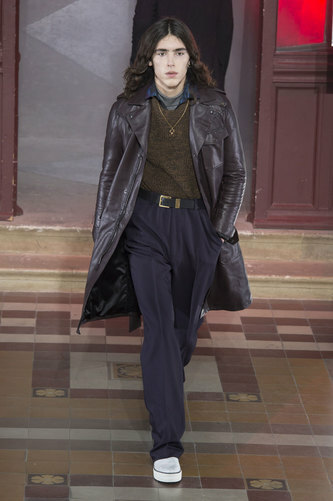 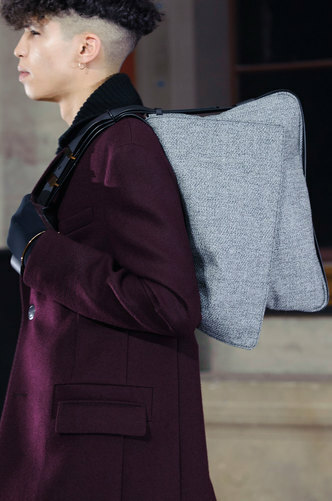 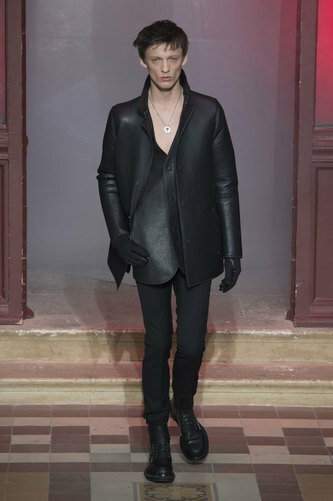 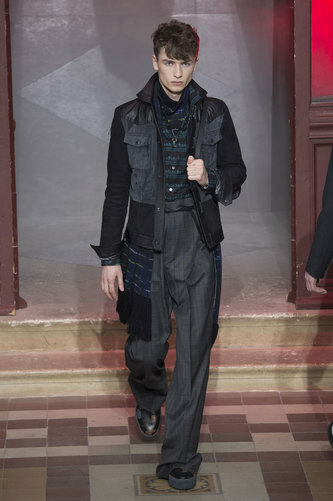 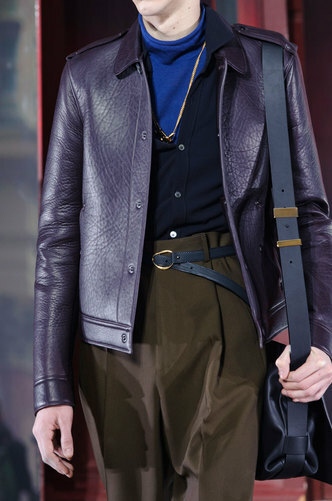 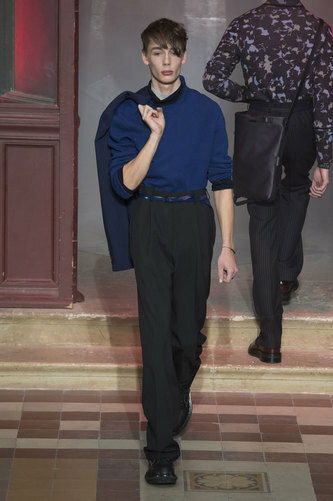 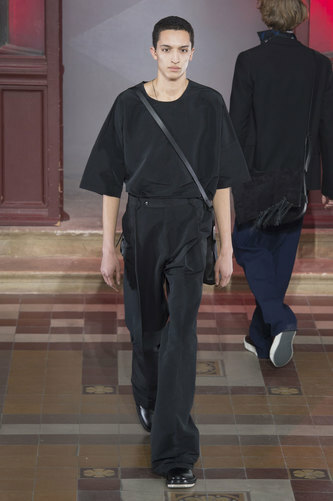 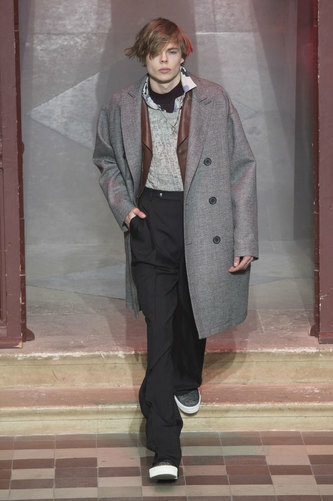 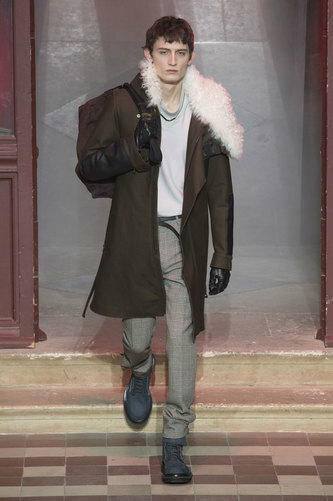 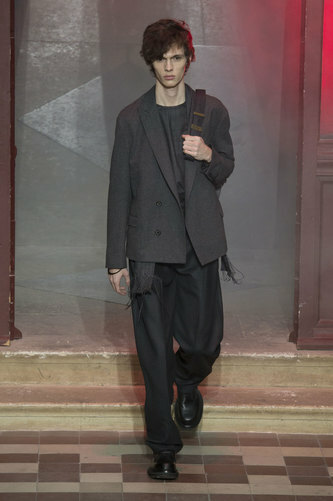 Lanvin Man Autumn-Winter 2015-16 – Lanvin headed for a more relaxed option in their line; ideal for the first show on a Sunday. 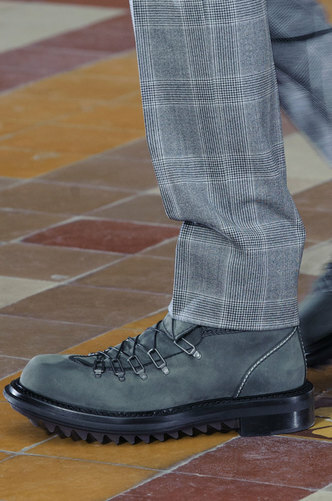 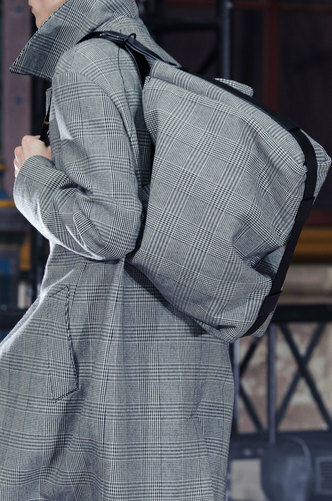 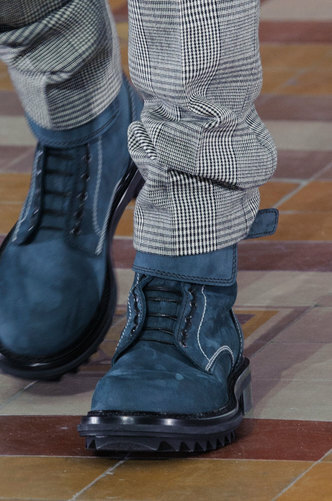 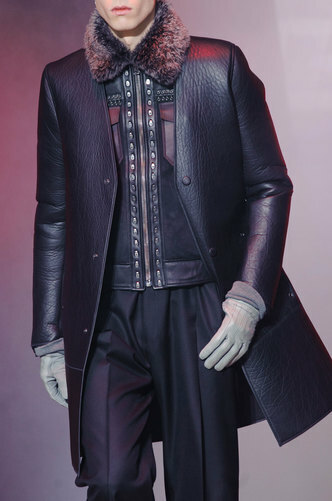 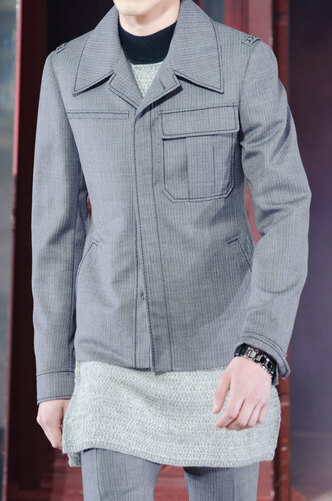 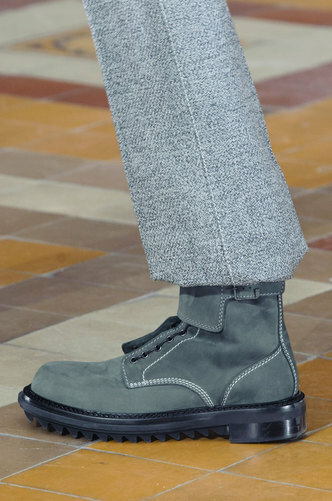 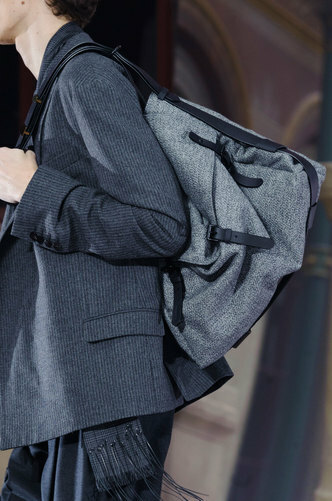 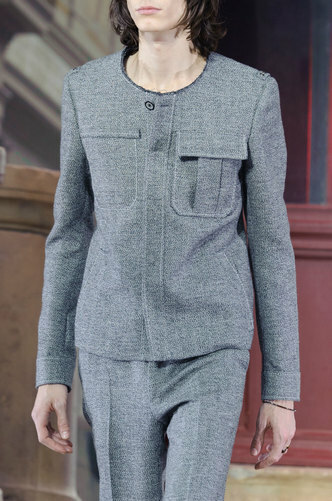 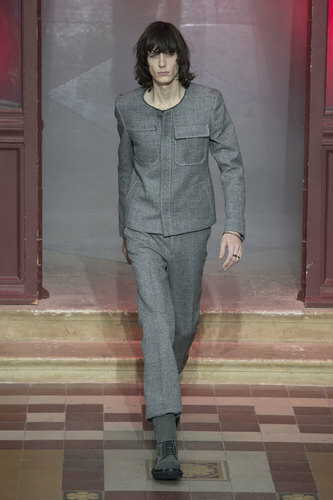 Opting for a cooler theme; Lanvin chose a traditional grey; compromised and re-vamped from the contemporary suit and transformed into brand new style. 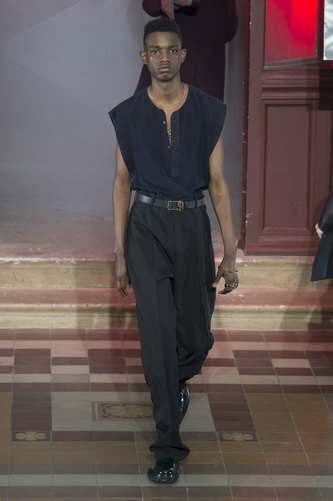 One of the main changes appears in the necklines of the tops and shirts. 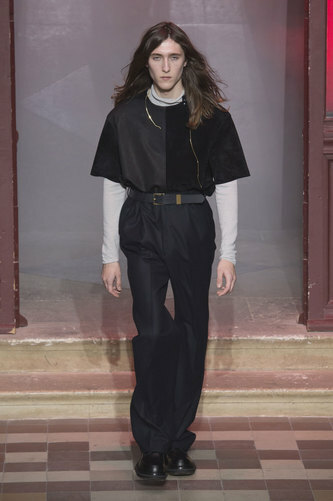 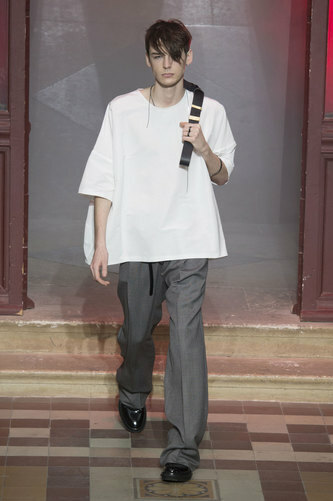 More rounded collars are the main focus for the rest of the outfit. 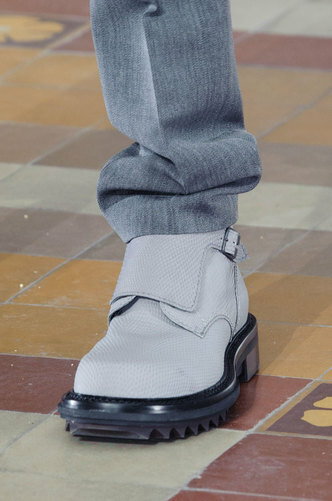 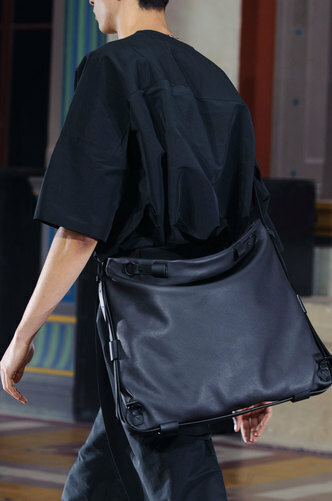 It also accentuates the fit of the rest of it. 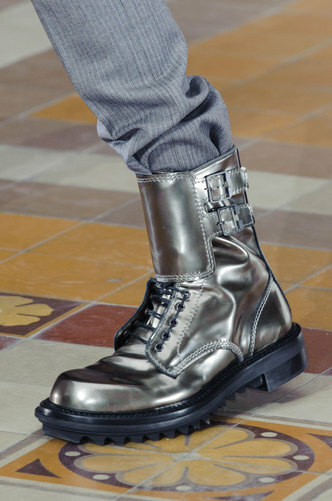 The range of shoes offers a more individual and futuristic edge. 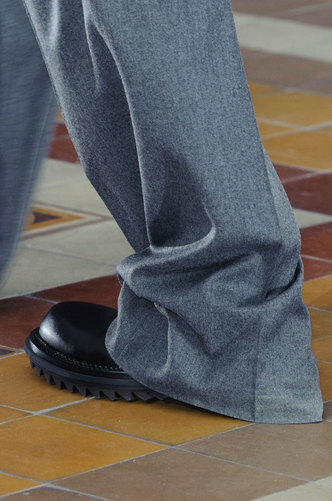 A mini platform base increases the height of the wearer but also bodes well with the longer length trousers and kick flairs; it gives you the opportunity to wear both and still be able to see both without one counterbalancing the other. 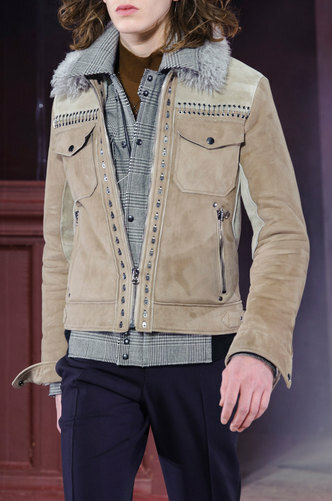 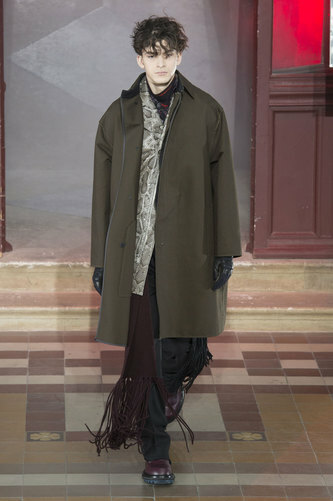 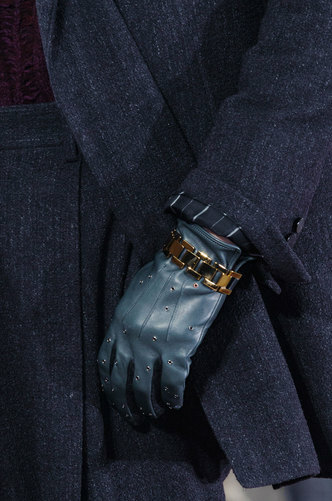 Extras appear in the form of tassels, leather and fur; sometimes all together! 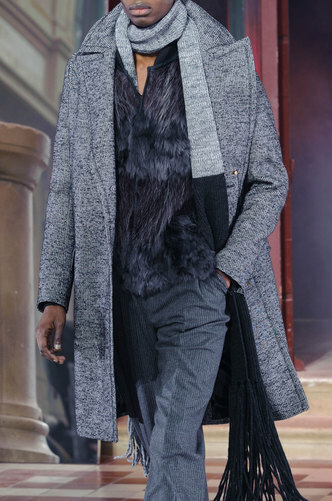 Added colour details are in the richest of colours from purples, reds and browns; very confident and bold, warm colours to compliment the greys.